NtR 26 - It's Your Domain Name - Or Is It? 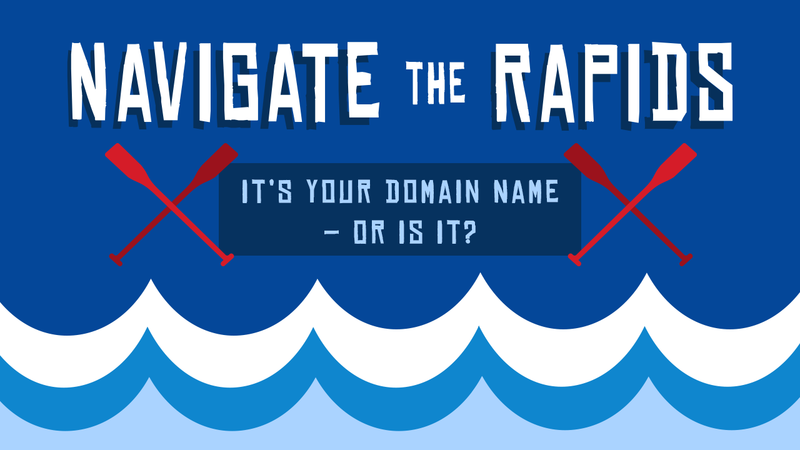 NtR 26: It’s Your Domain Name – Or Is It? This is the podcast where we explain digital marketing in a way that’s easy to understand, we talk about topics that will help your business grow and compete with the big dogs, and we get ideas and tools that will boost our online exposure to potential customers. So let’s get started. This past week on DigiKnow (my other podcast) we talked about how now you can follow hashtags on Instagram. This is pretty cool because it fixes a problem that was inherent to Instagram - the fact that people used hashtags to sort and segment their posts. It’s also a great way to attract other people who like the same things. So the update is important because now, much like following friends, you can now follow topics of interest to you and they’ll show up in your normal instagram feed. While I think people would be surprised to know that I’m not very outgoing at these conferences, the amount of information you get at them is invaluable. Of course if you make friends and can pick their brain, even better. First, what is a domain and how do you get one. A domain name is like your address. It’s the only one in existence, and it’s where you live - or in this case where your website lives. It’s unique, and no one else can own it. You get domain names from domain registrars, such as GoDaddy. It does have an expiration date, and its important to make sure that date is at least 5 years from now. Lastly I want to talk about a tool that I use and how you can use it to grow your business. Ok that’s it for today’s podcast. I encourage you to visit redcanoemedia.com/ntr to subscribe and get notified about future episodes. Of course, if the information you learn here helps your business, I’d very much appreciate a review as that is what helps me get the word out to more people. Thanks for listening - I’ll see you in the next podcast!